It's been a pleasure dealing with Alexis and Steve. 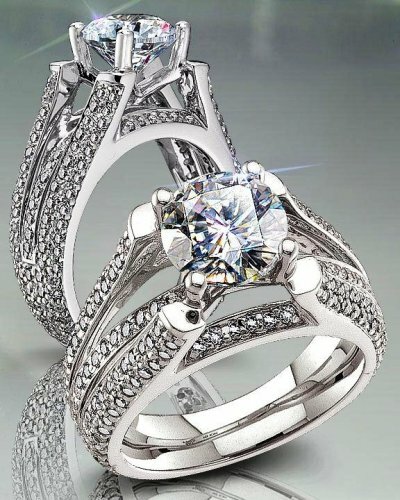 I hesitate about purchasing this ring online as I'm sure many people understand. I must admit that I was completely blown away when I received the ring. It exceeded my expectations. Recently, I took the ring to a local jeweler just to have cleaned a little and they commented on how good the craftsmanship was. The jeweler took a light on the underside examining the ring and was really impressed with the work as she said invisible set rings are really difficult to get right. She asked me how much I paid for the ring and she said I got one heck of a deal! The complement from a jeweler in a high end jewelry store just made me smile with delight. Great service and product!